Gotham will be taking part in this year's Ride 1 Rally at Lime Rock Park raceway on April 20th. We'll leave from Morningside Heights at, and head up to Hudson Valley Motorcycles by 10am, and then on up to Limerock. for the event! 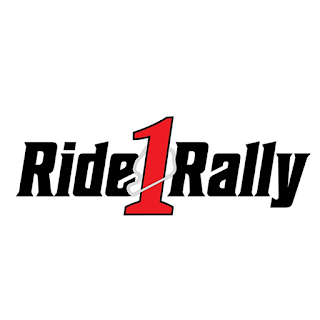 The Ride1 Rally is the combined effort of Spectro Oils and Lime Rock Park to bring a kickoff riding motorcycle event to New England. When working on the idea for this event we decided to build an event that we as riders would want to attend. This event has three major parts that will create a unique day filled with fun, excitement, and best of all....riding! The first part of the event are the rides themselves. Rides will be hosted by local businesses involved in the Motorcycle industry, from dealers, to museums, to the Spectro Oils HQ in Brookfield CT. The day will start at these Host locations with some coffee, a tour, and finally a group ride to Lime Rock Park where the rally will be held! The second part of the event is the rally. Designed as a mini version of all of the great motorcycle rallies out there such as Daytona and Sturgis, this rally will have vendors, great food, stunt shows, a bike show, motorcycle museums, and more! Packed into one day, there will be a lot to see and do, but it will make for an unforgettable experience. The final part of the Ride1 Rally is the fundraising. Without a doubt the motorcycle industry is one of the most generous and supportive industries out there. With that in mind we wanted to partner with a charitable organization for the event to help fund raise, and bring awareness. As April is World Autism Month, we have decided for the inaugural Ride1 Rally to partner with Autism Speaks. We hope that you will be able to join us for the inaugural Ride1 Rally on Saturday April 20th 2019!